Welcome to this week’s Math Munch! 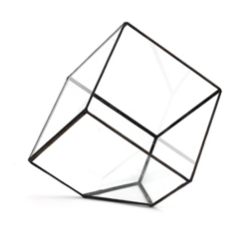 We’ve got some beautiful geometric objects meant to house a plant or decorate your home, as well as a really clever kind of “multiplication chart” relating the Platonic solids to each other. 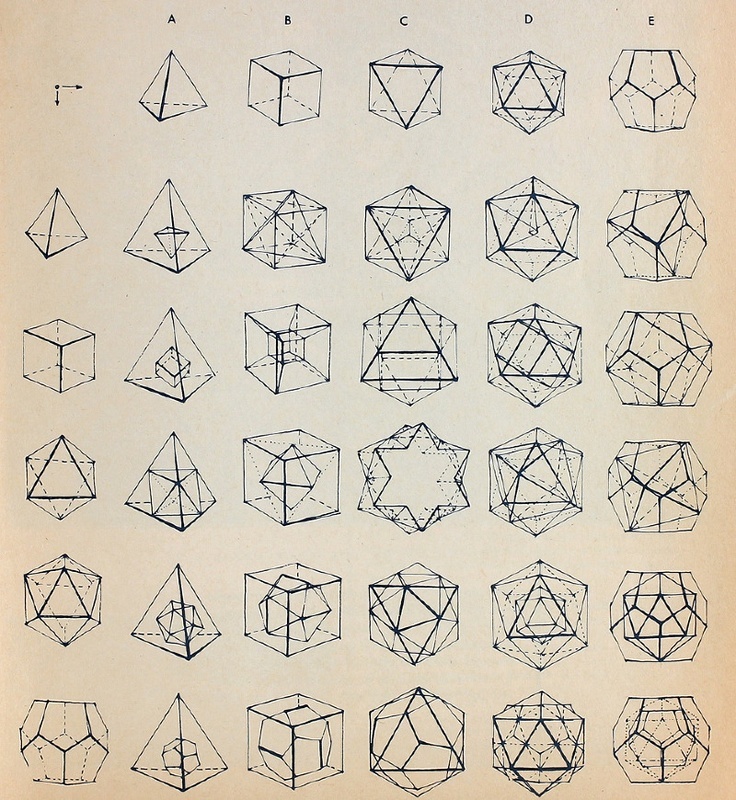 First up, let’s take a look at some gorgeous glass terrarium models of the Platonic solids. We don’t usually share products here on Math Munch, because we want to make sure you can enjoy the math for free, but these are so beautiful I just had to show you. I’m a sucker for spherical symmetry! The Turning Triangles Terrarium actually sits on my mantle at home. It’s 20 pieces of triangular glass (with one hinged pane) coming together to make an icosahedron home for a little plant. Above you can see a spread of octahedron terrariums, which will have to be my next purchase. Does $29 seem like a lot for one of those? I was kind of shocked to see prices for other ones that are about 4 times that much. Take a look at the dodecahedron and cube terrariums below. They’re over $100 each, but man are they cool!? I love how they stood the cube up on its corner. Did you ever think about how cutting off the corner of a cube creates a little triangle? 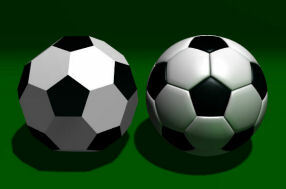 Speaking of cutting off corners, that’s called “truncation.” I bet you never realized the soccer ball pattern is a truncated icosahedron. Well it is! And West Elm is selling a pair of really beautiful truncated polyhedra made of Capiz shells. Below are the corner-cut versions of the icosahedron and dodecahedron. And lastly, the really cool, metal rhombicosidodecahedron. This is the shape that is used for the Zome construction kit. Check out this video showing a project we did last year. In short, we made a really big version of this out of lots of little ones. If you end up buying one of these decorative sculptures, let us know. We’d love to see a picture of it in your house. Finally, this is a really incredible image I found on Pinterest. Can you tell what’s going? It’s set up like a multiplication chart, with the Platonic solids along the top and left edges. In the middle, we get a picture showing how the two shapes might be related to each other. I could (and have) stared at this for hours! In the A1 position, for example, we have a picture showing that the tetrahedron is the dual of the tetrahedron. That means, when you connect the centers of the faces on the tetrahedron, you get another tetrahedron! B3 shows that the octhahedron is the dual of the cube. E4 shows that the icosahedron is the dual of the dodecahedron. B2 appears to be a hypercube, and B1 shows the way that a tetrahedron can be made by connecting alternating corners of a cube. It’s a fascinating chart, and I hope you’ll take some time to check it out. Can you figure out what’s going on in C3? I would love to know where this image came from, but I can’t find anything about it. If you know anything about the origin of the chart, please let us know. Well that’s it. I hope you found something juicy. Bon appetit!